AM 2/c Carl R. Burrows, son of Mrs. R. D. Burrows, attended Tipton High School; husband of the former Wanna L. Raines. 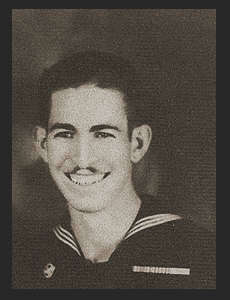 Entered the Navy in 1942, trained in Chicago, Great Lakes, Ill., Akron, Ohio, Norman, Okla.; served in Hawaii. Awarded Asiatic Pacific Ribbon, Am. Theatre Ribbon, Victory Ribbon.